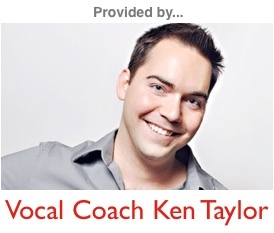 “I have a strong chest and head voice, but how do I make the middle range of my voice stronger without belting? Having a strong chest and head voice are both great assets, but if you’re struggling in the middle part of your range, then odds are there are a few things that you can do to release your voice of some tensions. My guess based off of what you’ve said is that there’s a good chance that there’s some unnecessary tension while you’re using your chest voice. This is a common for many singers (myself included when I was your age). Check and make sure that you’re not holding your tongue tense, and that it’s not pulling up and toward the back of your mouth, as doing either of these things will cause your voice to become unbalanced, making you struggle more for notes that should be relatively easy to hit. When it comes to the middle part of your range, once you hit a G above middle C, you’re entering your first bridge. Once you hit the C above that, you’re entering your second bridge. Each time you’re entering a bridge, you’ll need to narrow both the vowel, and make absolutely certain you’re not adding more air or volume. While some singers can push/belt through these parts of their voice, those singers will not be able to transition seamlessly into their mix and head voice. Focus on the tongue, narrowing the vowel, and then a steady flow of air, and you’ll have a much better chance at hitting those notes without having to force your way through them. Also look at the article Singing With Emotion, it could help you get through some other trouble spots by giving you technique with the emotion. Best of luck to you on this!